IMPORTED SHOWLINE PUPPIES NOW AVAILABLE!!! SEE OUR "AVAILABLE PUPPIES" PAGE! 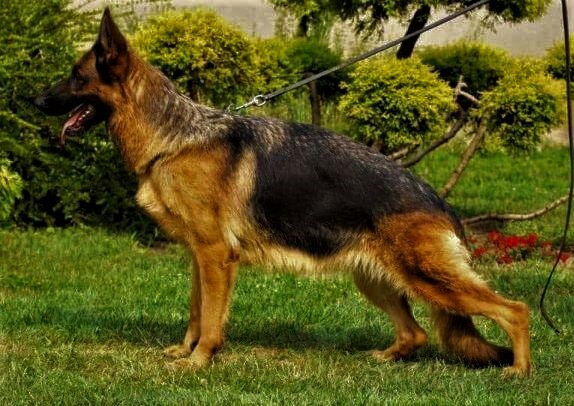 VOM BOYCE HAUS TAKES GREAT PRIDE AND ENJOYMENT IN PROVIDING QUALITY GERMAN SHEPHERDS TO THEIR NEW FAMILIES. 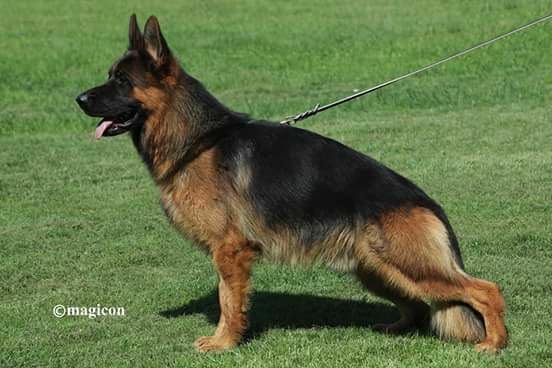 OUR SHEPHERDS ARE BRED FOR GREAT TEMPERAMENT, EXCELLENT DRIVES, AND CORRECT STRUCTURE. WE WHELP OUR LITTERS INSIDE OUR HOME. THEY GET A LOT OF ONE-ON-ONE ATTENTION, AND HUMAN BONDING TIME. 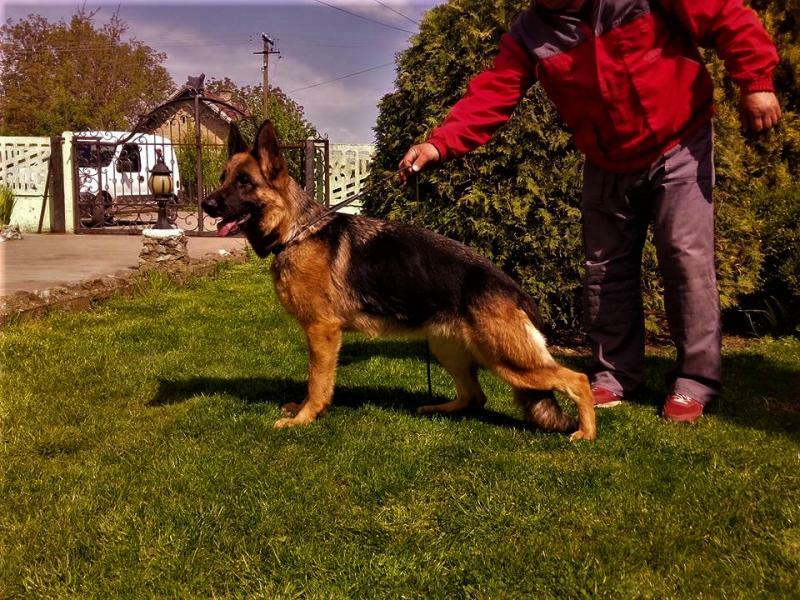 THIS HELPS THEM BECOME MORE FOCUSED AND MORE ATTENTIVE FOR LATER TRAINING, AND ALSO HELPS TO BUILD CONFIDENCE FOR A LESS STRESSFUL TRANSITION WHEN THEY LEAVE VOM BOYCE HAUS TO GO TO THEIR NEW HOMES. WE CURRENTLY HAVE TWO BEAUTIFUL LITTERS OF EUROPEAN IMPORTED SHOWLINE PUPPIES!!! THESE PUPPIES HAVE WORLD CHAMPION PEDIGREES, EXCELLENT WORKING DRIVE, AND CHAMPION SHOWLINE BEAUTY! WE ARE VERY PROUD TO OFFER YOU THESE TWO OUTSTANDING LITTERS! MEET OUR NEW VOM BOYCE HAUS FEMALE AND MOTHER TO THESE AWESOME PUPPIES!!! DARSY IS AN EXTREMELY HANDSOME YOUNG BLACK AND RED MALE OF SUBSTANCE AND CORRECT STRUCTURE. AT HIS MOST RECENT SHOW, THE CACIB BEOGRAD 2017, HE RECEIVED HIS CAC, CACIB, PLACED 1ST IN BEST OF BREED (BOB-1), PLACED 1ST IN BEST OF GROUP (BOG-1), AND 3RD IN BEST IN SHOW (BIS-3)! DARSY WILL BE GOING FOR HIS KKL IN MARCH! DARSY IS AN EXTREMELY HANDSOME YOUNG BLACK AND RED MALE OF SUBSTANCE AND CORRECT STRUCTURE. 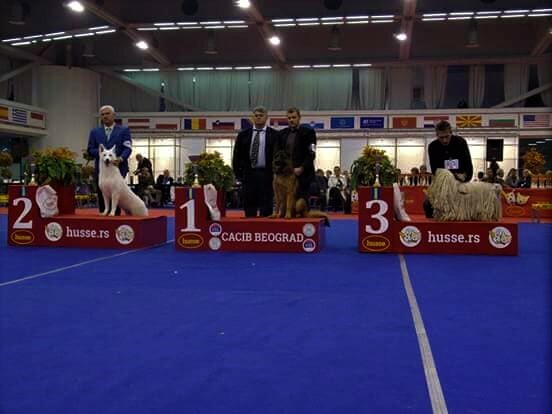 AT HIS MOST RECENT SHOW, THE CACIB BEOGRAD 2017, HE RECEIVED HIS CAC, CACIB, PLACED 1ST IN BEST OF BREED (BOB-1), PLACED 1ST IN BEST OF GROUP (BOG-1), AND 3RD IN BEST IN SHOW (BIS-3)! DARSY WILL BE GOING FOR HIS KKL IN FEBRUARY!